Looking for a unique and useful gift that your recipients cherish for a long time? The Callaway 6-Ball Valuables Pouch is an excellent choice for you! This pouch is made of velour and keeps one’s valuables secure and protected during any sports event, outing or tournament. 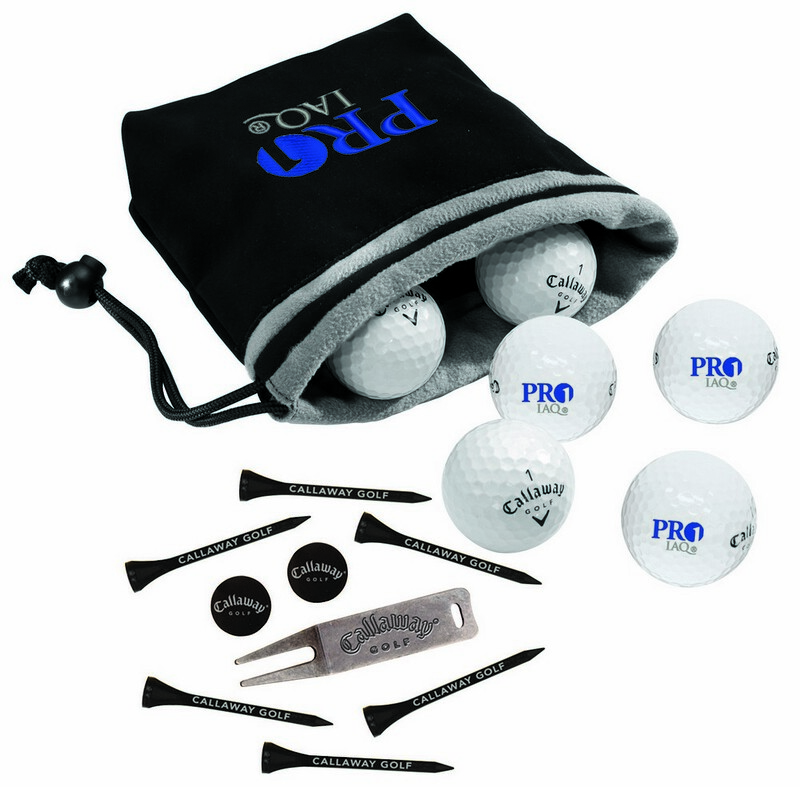 The pouch includes six imprinted Callaway golf balls, six 2 ¾” tees and one divot repair tool to make the basic golf kit for any player. Customizable pouch features a soft lining and comes with embroidery access area to expose your brand logo, name and marketing message on the course.